Indulge in these signature VL nano tip hair extensions. Featuring the same natural ratio as your own hair, they are made from the best quality Remy hair we’ve ever felt, they’re a delight to run your fingers through. Adding luxurious length and vibrant volume to enhance your own locks, these premium hair extensions will make you look and feel beautiful. There’s 50 strands per pack all featuring an exquisite nano tip which when paired with our silicone lined nano rings provide a strong discreet hold that’s gentle on your hair with zero slip. Each strand is 1g making each pack 50g, for a full head we recommend 3-4 packs of these hair extensions or 150 - 200g. 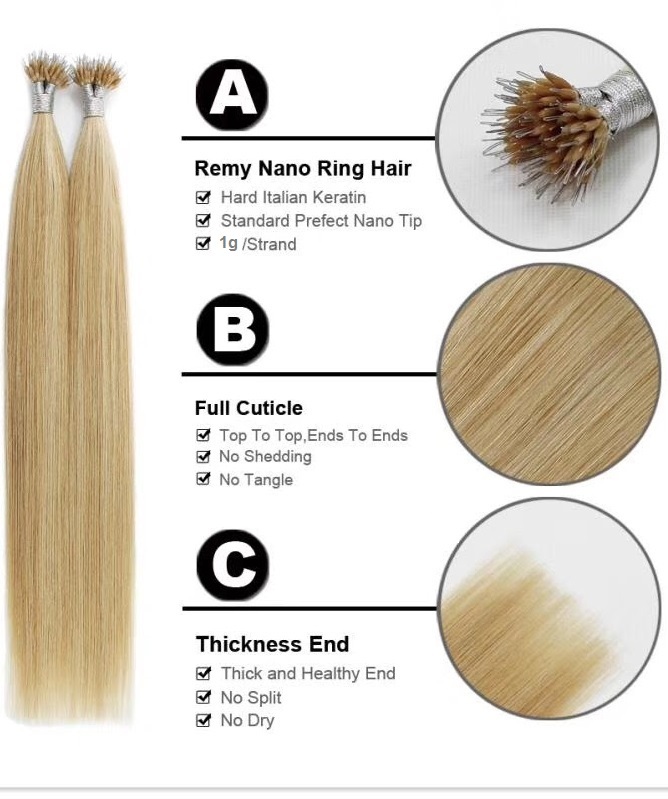 As with all VL Remy human hair extensions the cuticles of each strand are kept intact and are hand aligned so they all point in the same direction, this gives breathtaking quality, a supreme silky feel, and they stay entirely tangle free. Available in a wide range of glamorous blondes, radiant browns, beautiful blacks, and on trend Ombres they’re super easy to blend into your natural hair, and because they’re lovely and thick at the ends they deliver sensational long lasting celebrity level results. We recommend 3-4 packs of hair extensions for a full head of stunning locks. The actual length is 2” longer than advertised so the extensions can be cut to match your hairstyle without losing any of the length you paid for.